Note: A minimum quantity of 528 must be ordered, and in units of 48 thereafter. 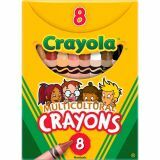 Crayola Regular Multicultural Crayons - Crayola Regular Multicultural Crayons come in an assortment of skin hues that give a child a realistic palette for coloring their world. The crayon colors are: black, sepia, peach, apricot, white, tan, mahogany and burnt sienna. 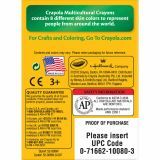 Each individual crayon is 3-5/8" long and 5/16" in diameter. 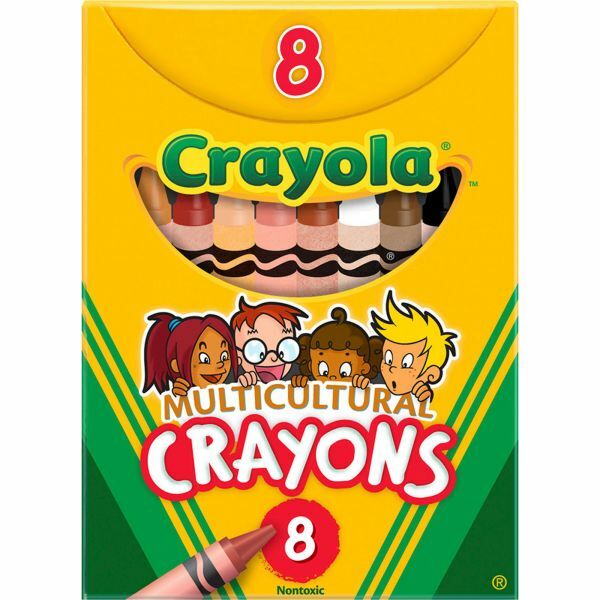 These crayons are great for children ages 3 and older.